Pawsitive Impressions: NEIGHBORLY connections in Naperville, IL! Pat on the Back to Ann and the Naperville South Store for creating a neighborly connection that hits all 4 of our paw print behaviors- NEIGHBORLY, PETCENTRIC, KNOWLEDGEABLE and TRUSTWORTHY! My wife and I have been a long time customer of Pet Supplies Plus. The manager, Ann, and her staff are AMAZING! They are SO kind and demonstrate tremendous compassion and care for animals. 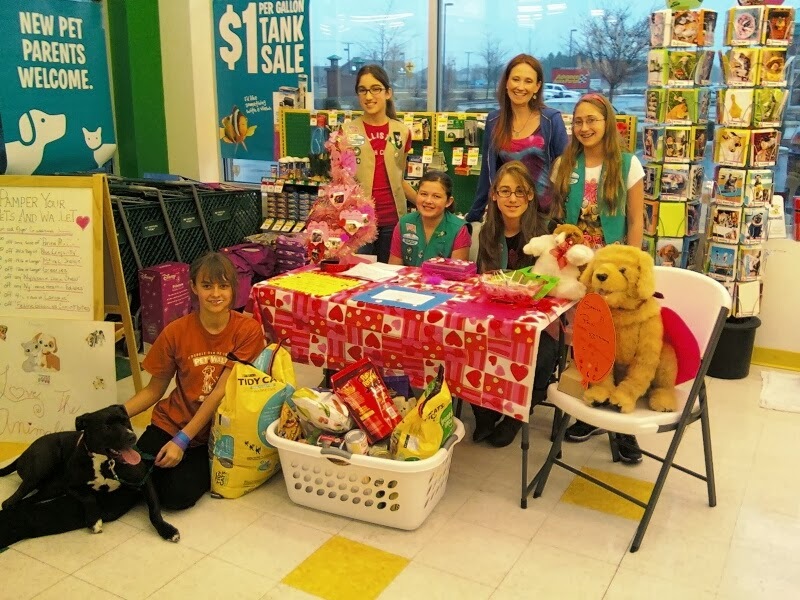 My wife's Girl Scout troop recently hosted a fundraising event for TLC Animal Shelter; they collected pet supplies and monetary donations at the PSP store. Ann took the time to teach her scouts how to solicit donations and supported them throughout the event! We cannot thank her and her staff enough. Her troop collected a TON of pet supplies. Thank you for helping her out to help abandoned animals in need!